Gray is a neutral that’s been taking center stage lately in many homes. It often gets categorized as being too cold, but with the right shade, it can work wonders in a kitchen. 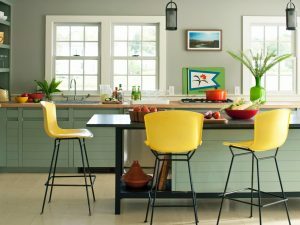 Best of all, it pairs beautifully with a wide array of other colors and is the perfect base to build upon in a kitchen. It also works well as a countertop or cabinet color. Before you select a color, think about how it will work with your cabinets. White cabinets will look great with almost any color, but wood tones will harmonize differently with each paint color. An easy way to see if your colors will complement each other is to paint one section of wall beside a cabinet before committing to the whole room. 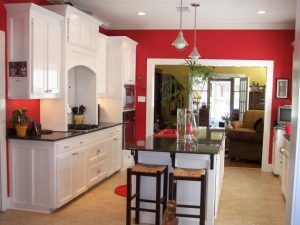 If you plan on getting new cabinets, pick your cabinet color first and then the kitchen paint colors second, since the cabinets will dictate the design of the room. Neutral walls work better with very colorful cabinets. So, if you want to go crazy with your kitchen paint colors, try opting for white cabinets instead. Countertops are also important to consider when selecting paint colors. If you have a neutral-colored countertop or plan to install one, you’ll have more flexibility with the paint colors you can use. But if you plan to use a countertop that has a lot of colorful detail in it, you might want to keep your walls more neutral so the two don’t clash. 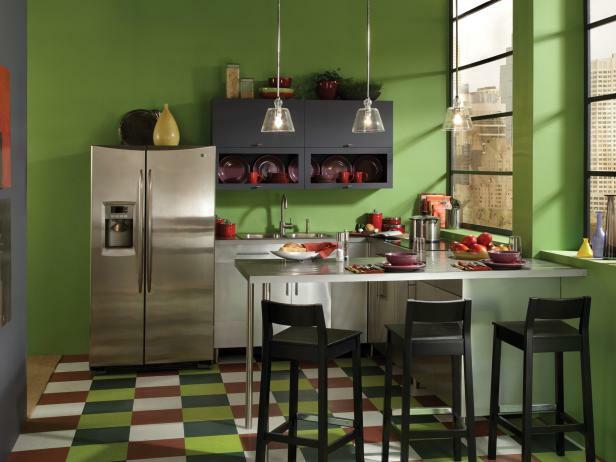 Even the appliances you have in your kitchen can play a role in picking a paint color. By considering your cabinets, countertops and appliances when creating a color scheme, you’re more likely to select a color that will work for the entire room. 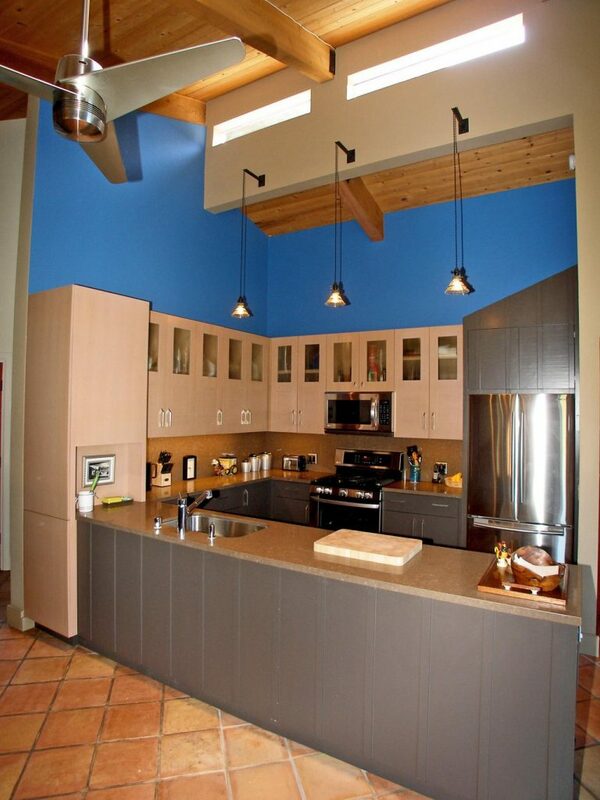 The resale value of your home is another important consideration when selecting paint colors for your kitchen. 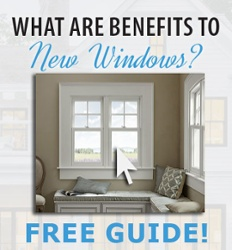 While you might be drawn to a very bold shade, future buyers might not find it so appealing. If you plan on selling your home someday, it’s smarter to opt for a toned-down color scheme. If you have questions about your kitchen painting project, stop in to your local GNH Lumber for tips, guidance and expert advice! Do you have a painting project in mind? Stop in to your local GNH Lumber for Benjamin Moore Ben line of paints!